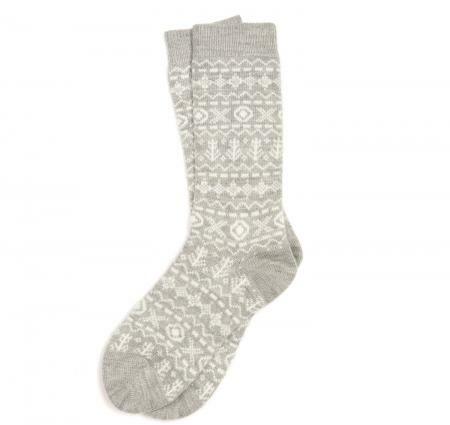 Barbour Newton Fairisle Sock for ladies in light grey. Chunky wool-blend ankle socks that feel exceptionally warm and soft to wear. The two-colour Fair Isle design is complemented by a contrast heel and toe.